If you’ve paid attention to the Lake Minnetonka mortgage industry, no doubt you’ve seen and heard all sorts of ads for a Lake Minnetonka reverse mortgage. Just exactly what is a reverse mortgage, you ask? A Lake Minnetonka reverse mortgage enables a homeowner to extract the equity in his home to use as monthly income. These mortgage instruments can sometimes be attractive options for senior citizens and retirees. The reason? There are no monthly mortgage payments. As long as the homeowner continues to pay real estate taxes and home insurance – and maintains the property in good condition – the repayment of the mortgage doesn't commence until the owner dies, transfers ownership, or no longer lives in the home. A Lake Minnetonka reverse mortgage, however, may not be for everybody. There are other alternatives to consider – especially if you’re thinking about tapping into your home's equity to help pay living expenses during your retirement years. Let’s take a look at a few options. Refinancing can be a viable alternative to a reverse mortgage. With interest rates at or near all-time lows, from a pure rate standpoint you’ll likely have a much lower rate than you currently have. In addition, being able to extract cash from the equity you’ve built up in your home – especially as home values have risen in the last few years – is an excellent way to borrow cheaply. Another big advantage to refinancing versus taking out a Lake Minnetonka reverse mortgage is you're maintaining the control of your biggest asset – and that’s important if you want to leave the property to family members or other heirs. Just a few additional points to consider if you’re leaning toward refinancing your mortgage: You can search online for mortgage payment calculators that will show you what your new payment will be. Plus, you can adjust the payment based on a variety of rates and terms to give you a better idea of what to expect. If you’re like most older homeowners and have owned your house for a long time, your monthly mortgage payments are comprised of a larger portion of principle and less interest. By refinancing – even at a lower interest rate – of course, you’re adding greater debt by increasing the existing loan amount by whatever equity you want to borrow. The bottom line is this, compare your payments and make sure you understand your total repayment amount. 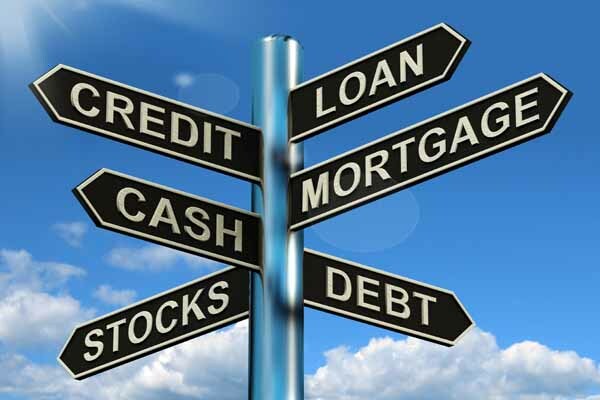 Refinancing may or may not be the best alternative and depends on a number of factors. Consult your mortgage lender, your financial advisor, or your accountant before you make the final decision. Lastly, don’t forget the closing costs. As is the case with most refinances, you’ll have to pay closing costs that will be deducted from the equity proceeds of the new mortgage. Be sure you allow for them so you can receive the full amount you want to borrow. Your mortgage lender will give you an estimate of the closing costs you can expect to incur as part of the mortgage lending application process. Home equity line of credit (HELOC) or a home equity loan. Other viable alternatives to a reverse mortgage are either a HELOC or a home equity loan. In either case, compared to a reverse mortgage the fees are usually lower. Again, as with a straight refinance, choosing one of these alternatives also keeps your home under your complete control. Let’s look at the difference between a home equity loan and a HELOC. As for the interest, the borrower pays regularly scheduled interest payments during the loan’s term. The biggest difference between the HELOC and a home equity loan comes at the end of the HELOC term. The borrower must then pay the remaining principal and interest owed – in full – either by refinancing, extending the terms of the loan or paying the loan off entirely. A home equity loan provides you a lump sum secured by the remaining equity (or value) in your home. It requires normal regular interest payments each month. Lake Minnetonka reverse mortgage lending experts say if you’re considering a reverse mortgage but want to leave your home to your children or other heirs, a home equity loan would be a better option. A HELOC has been described as an “equity credit card.” It allows the homeowner to borrow up to an established credit limit during the term of the loan. The borrower repays certain portions of the principal at various times throughout the loan’s term. As the principal is reduced, your borrowing power increases (to the pre-determined limit) just like a credit card. Flexibility is one of a HELOC’s biggest advantages, as it can provide a source of money to be used in emergencies – only if and when you need it. Of course, selling your home and moving into something smaller is always an alternative to a Lake Minnetonka reverse mortgage – especially for retirees or those approaching retirement. The biggest advantage to downsizing is you can get all the equity in your home in one lump sum as the proceeds from the closing of the sale. Should you elect to keep your home in the family, selling it to a child or other family member is a possibility. In addition, if you can afford it and if it makes sense financially, you can even consider owner financing by having your child pay you the monthly mortgage principal and interest payments. This is especially a good option if your child or family member doesn't have any credit established or needs down payment assistance. But remember this, family or not, if you choose to take the place of a Lake Minnetonka mortgage lender, do everything by the book. Have the required legal documentation in place with you as the mortgage holder and your family member or child as the borrower signing the note for the amount they owe. A real estate attorney can assist you in handling the preparation of the necessary documents and the closing of the sales transaction. You can find more articles pertaining to a Lake Minnetonka reverse mortgage in the Lake Minnetonka Mortgage Info section of our site below Lake Minnetonka Real Estate Categories in the column to your right. We also post daily tips on Facebook and Twitter and would love for you to follow us there, too.